This month I joined in on a huge Paint-a-Thon challenge with other kid bloggers. 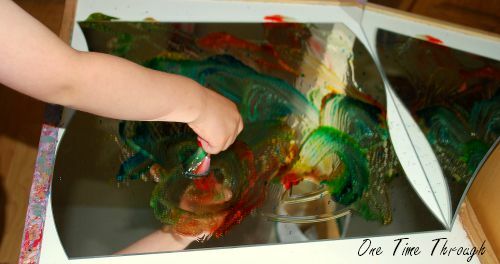 Last week, we played around with some homemade spicy scented sensory paint, and this week we tried exploring with painting with mirrors. Read on to check out the fun we had! 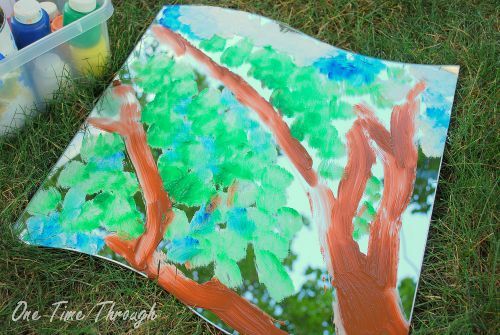 Using 2 large pieces of an old IKEA mirror set, we tried a bunch of different ways to paint using mirrors as a canvas. Here were our favourites! Experimenting with different “paints” such as liquid soap with drops of food colouring (pictured above) is fun. Each paint looks different on this smooth surface. 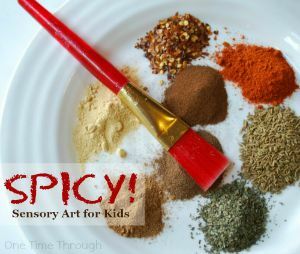 You might also want to try shaving cream paint, or ice cubes with food colouring. 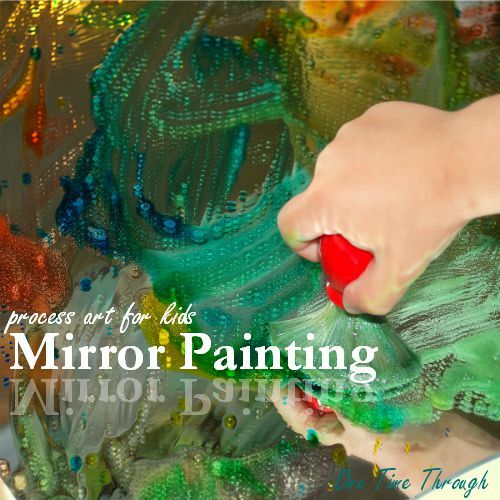 Try painting on a mirror with a second mirror set up against a wall to reflect your child’s movements and art as it’s being created! After Onetime was done painting, I decided to give it a try myself and enjoyed a quick exercise of painting over the reflection of the leaves and branches that I could see. I found this process really mentally absorbing – even using a wide brush with little detail. 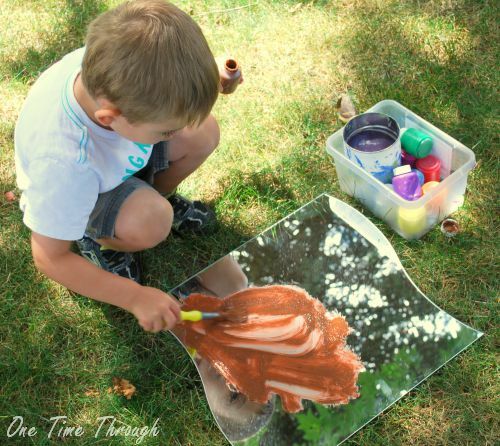 If your child wants to make a permanent work of mirror art, just change up the paint to acrylic and you’ll be able to mount the work inside for display. I think I’ll just wash mine off, but I enjoyed the process and Onetime did too! 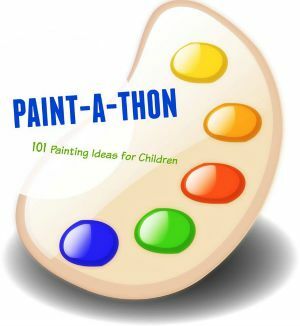 If you’re looking for even more fun painting ideas, be sure to check out all the other posts in the Paint-a-Thon. Follow One Time Through’s board Art Activities on Pinterest. 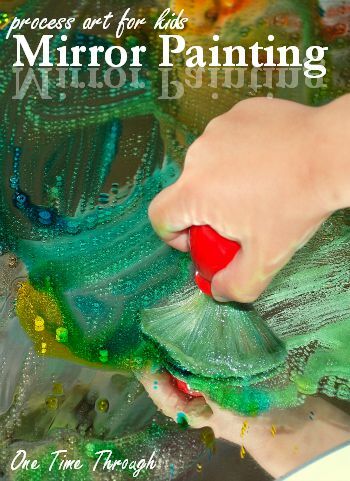 Do you have any fun ideas to try with mirrors and paint? I’d love to hear them – share a comment/idea below!